Maybe it’s the number of times I’ve moved, but over the years, I’ve found myself becoming more and more minimal. I don’t like having extra, and a clean space with just a couple of high quality, useful, beautiful things makes my heart SO happy. So when I got pregnant, I knew I wanted to keep things minimal and simple. There are a TON of things you could buy for your pregnancy, but I wanted to get only the essentials. And I found that, honestly, there’s not much you need to get you through pregnancy. A good prenatal vitamin, clothes that fit, and lots of water and you’re pretty much good to go. However, there are a few things that, if not essential essential, will make your pregnancy SO much more smooth and enjoyable. 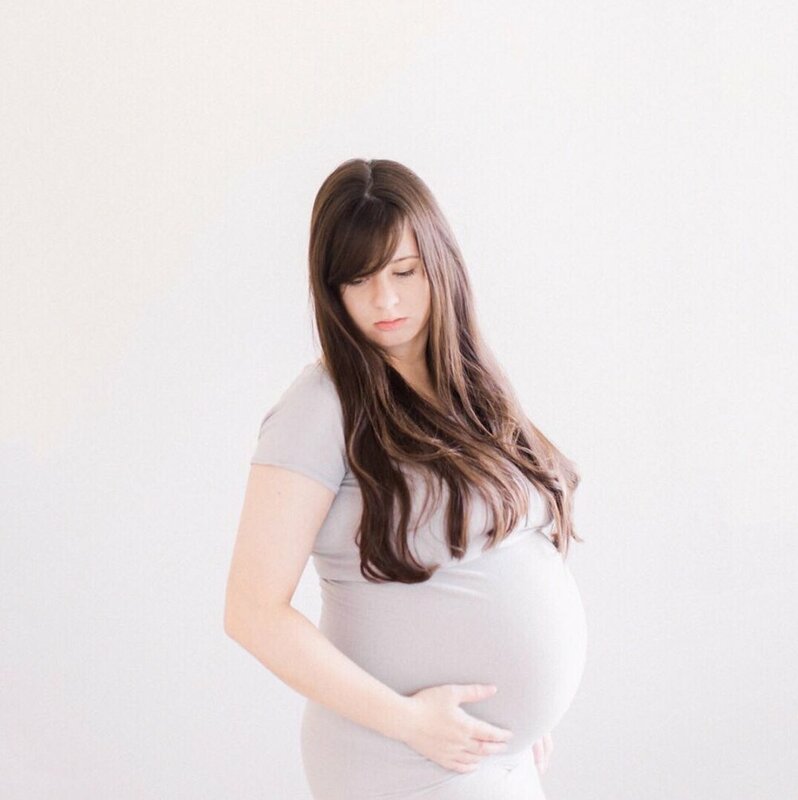 These are the things that I found essential during my minimalist pregnancy. I’ve used a facial cleanser formulated for acne forever, but apparently traditional acne ingredients are a no go while pregnant. I tried a few different things, and so far, my favorite has been this micellar water. I love being able to wipe something on my face, call it good, and not have to rinse with water. It’s super easy, and especially during the first trimester when you just want to lay in bed, easy and quick is key. I love this brand so much that I’ve continued to use it postpartum and have found I don’t need my traditional acne cleanser anymore. It’s very possible nothing will help, but it’s worth a try, right? I tried these “Preggie Pops” while I was traveling during my first trimester, and they helped me not be quite so miserable all of the time. Also, Ginger Ale. Also, CONSTANT SNACKING. I felt terrible every time I let my stomach get even a little bit empty, so snacks all day every day (even when I didn’t feel like eating!) was key. Obviously. I really liked this one - it’s vegan, made with real food, and a gummy, which made it a thousand times more tolerable in those early days. I legit could NOT swallow a pill, so these were perfect, and they never made me feel sick. So. Real talk: I’m not really sure that any sort of cream or lotion or oil on the market actually helps with stretch marks…. but you’ll probably want something to slather on your skin every day anyway, just to make yourself feel like you tried. I really liked this one, and I found that I hated body oil (it’s slippery + hard to apply + feels weird on your skin). For the record: I didn’t get stretch marks…….. until the last two months and then I got a ton. Seriously - any old pillow will do. I used a throw pillow that I borrowed from the couch. I’m sure the giant body pillow is nice, but it’s totally not necessary… and it wouldn’t have fit in our full size bed anyway. Plus - if you’re getting up to go to the bathroom every two hours like I was, how in the world do you wrangle one of those massive pillows to get out of bed every time!? A regular pillow was just fine for me. You don’t even need to buy a new one, but if you want to, this one has over 15,000 reviews on amazon, so it’s got to be amazing. An exercise ball is probably the bulkiest non-minimal thing on the list, but I’d recommend it a million times over. I sat on this thing and bounced like my life depended on it until the bitter end. It’s supposed to help you have an easier labor somehow, and who knows if it actually did anything, but I felt productive as I bounced away. And it was the only thing that was comfortable to sit on while I was in labor, so it was worth it for that alone. It wasn’t until the third trimester that I actually NEEDED maternity clothes, but I started wearing maternity jeans much earlier because YA’LL. Those things are so comfortable; why do people even wear anything else? I went super minimal here: 1 pair of shorts, 1 short sleeved t-shirt, 2 pairs of leggings, 1 pair of jeans, and a long sleeved shirt. This, paired with clothing I already owned, was more than enough to get me through those last three months. Yes, I wore a lot of things on repeat… but it’s three months. I figured I could be a little less fashionable (like I’m ever super fashionable, haha) for a few months and be okay with people seeing me in the same outfits. Like. I’m pregnant. People understand. Haha, 100% essential. I don’t think I’ve ever had heartburn in. my. entire. life. until I got pregnant… and then I had it CONSTANTLY. 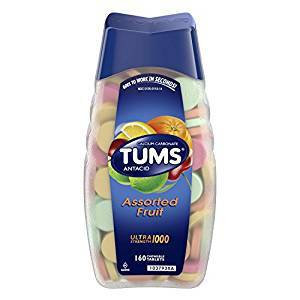 I resigned myself to a life of constant burning and popping a few Tums every day. Sometimes they helped, sometimes they didn’t. Mostly they made me feel a bit better. Finally, dates. This falls in the same category as the tea - I’m not sure that it helped, but I’m also not sure that it didn’t. Did I have a magical easy birth? No. Did eating a million of these a day make me feel like I was doing something productive while waiting? Yes. So. Win. Also, I really like dates, so you don’t have to twist my arm to get me to eat them. If you’re feeling fancy (and have extra time while you’re waiting for babe to arrive), you can make homemade Lara bars and have a medical excuse to eat four. That’s everything that I considered “essential” during my pregnancy! Do you have anything to add to the list? Let me know in the comments below!